Update. In the last few weeks, we have tried to catch up with some recent publications in the field that mainly focused on autism spectrum disorder. This week’s publications, in contrast, cover a wide range of topics including the phenotypic spectrum of the 15q13.3 microdeletions, the importance of POLG1 in valproate-induced liver failure, and the most recent updates on epilepsy and twins. 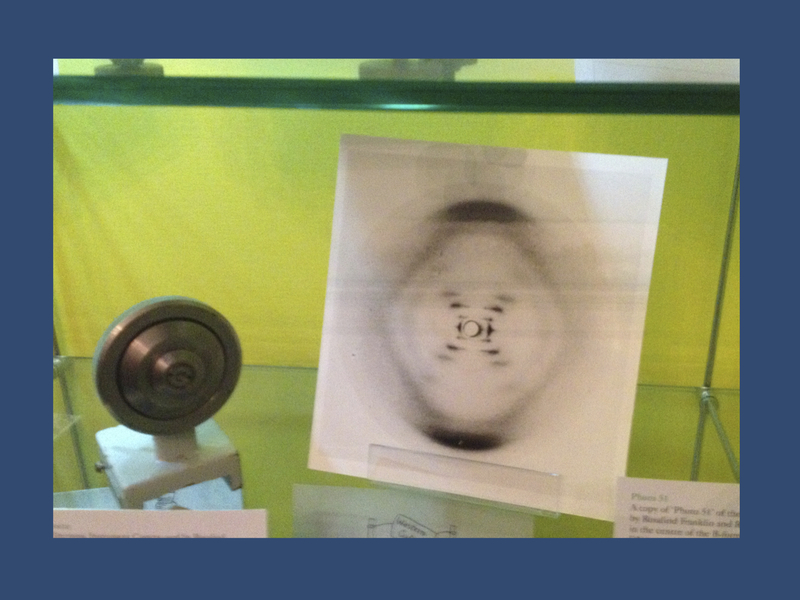 The initial X-ray of DNA by Rosalind Franklin, which led to the suggestion that DNA might actually be a double helix (photo taken at King’s College in 2012). 15q13.3 microdeletions. In a recent publication in Genetic Medicine, Lowther and collaborators re-evaluate the phenotypes of 246 individuals with 15q13.3 microdeletions. Intellectual disability was present in 60% of patients, epilepsy in 30%, and autism or schizophrenia in 10%. Most variants were inherited, coming more frequently from the maternal than paternal side. Congenital malformations were virtually absent in this cohort. Also, this microdeletion was not seen in more than 23,000 controls. Summary: This study adds important information to our knowledge of the 15q13.3 microdeletion, reinforcing the concept that the main manifestations are mainly neurodevelopmental with an unexpectedly high frequency of epilepsy. POLG1 and valproate-induced liver failure. A recent publication in Liver Transplantation examines the outcome of transplant due to valproate-induced liver failure in patients with POLG1 mutations. Why is this important? POLG1 mutations are rare, but recurrent causes of Leigh Syndrome, which can present as an epileptic encephalopathy. Valproic acid is one of the more potent anti-epileptic drugs, but has a certain risk for liver failure in patients with POLG1 mutations. Hynynen and colleagues report patients who underwent liver transplant (LTX) after valproate-induced liver failure. They report both extremes – some poor outcomes, but also patients who have survived after LTX for almost 20 years and became seizure-free. Summary: In patients with severe epilepsies reminiscent of Leigh Syndrome the use of valproic acid is not an easy choice. The authors advocate POLG1 testing prior to using valproic acid. Twins and epilepsy. In one of the largest twin studies so far, Vadlamudi and collaborators investigate the epilepsy phenotypes of almost 500 twin pairs classified by the 2010 ILAE classification. Of note, they confirm the strong genetic component to the Idiopathic/Genetic Generalized Epilepsies (IGE/GGE), but also point out a strong genetic component to Genetic Epilepsy with Febrile Seizures Plus (GEFS+). The authors argue that labeling both conditions as genetic epilepsies is justified given the strong evidence from twin studies. More than 10% of twin pairs had explanatory mutations. Summary: Twin studies remain an important resource when it comes to making claims about the genetic architecture of the epilepsies. Even in the era of next-gen sequencing, twin studies remain one step ahead, as only a small fraction of genetic epilepsies are explained on a molecular level at this point. This entry was posted in 2014, Familial epilepsies, papers of the week and tagged 15q11.2, 15q13.3, 16p13.11, concordance, GGE, heritability, IGE, Leigh Syndrome, Lennox, liver failure, maternal inheritance, microdeletion, mitochondria, monozygotic, recruitment bias, twin study, Valproic acid. Bookmark the permalink.